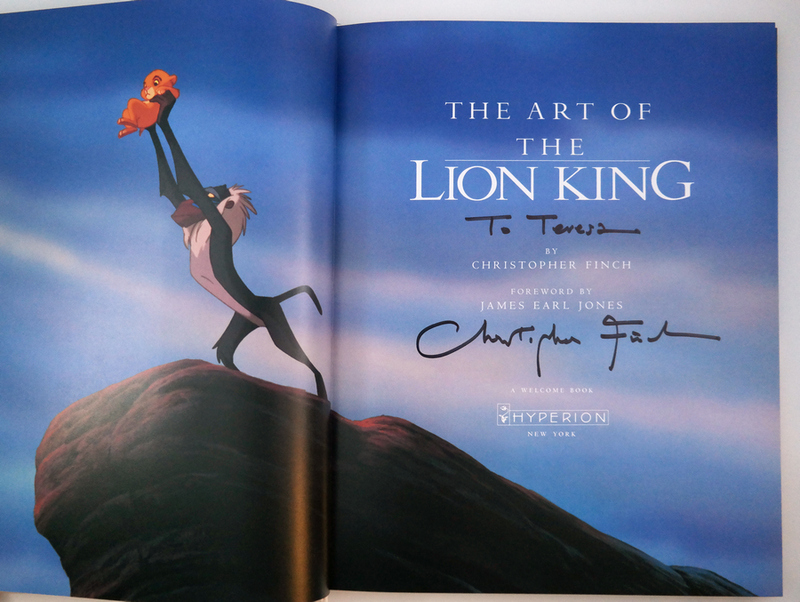 This is a copy of the out-of-print book "The Art of the Lion King," written and hand-signed by Christopher Finch. 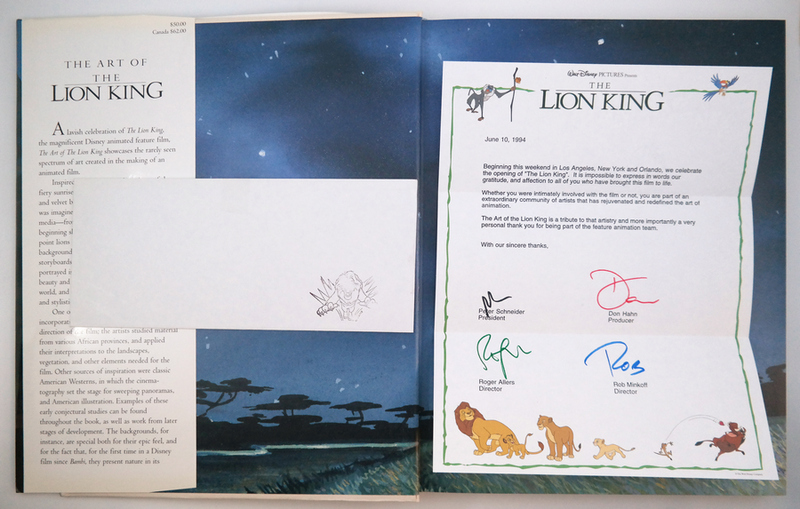 This book features 196 pages that detail the art created by the studio during the developmental stages of the film and comes with the "Thank You" letter distributed exclusively to the cast and crew of the film (the signatures on this letter are printed). 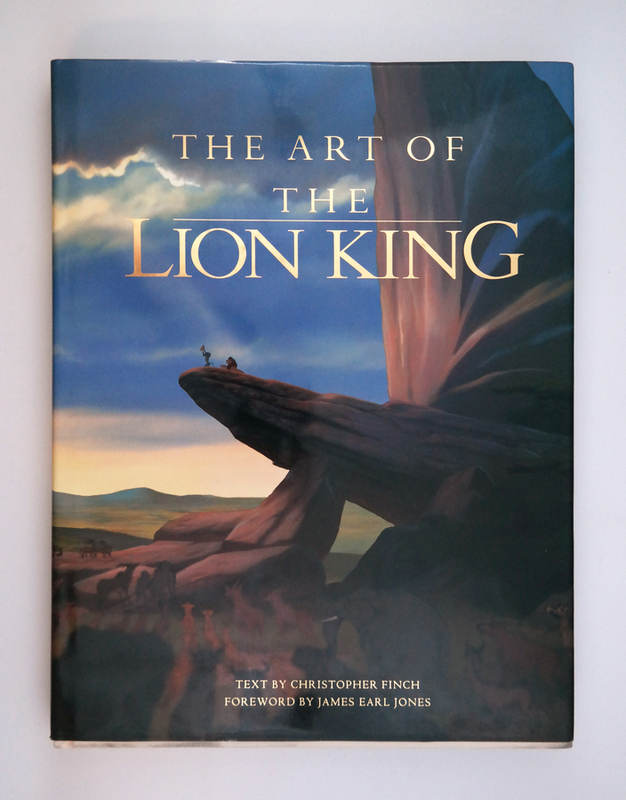 The book measures 13.25" x 10.25", and is in excellent condition with very light scuffing on the slip cover.